The quiet suburb of Chamberlain, Maine is home to the deeply religious and conservative Margaret White (Moore) and her daughter Carrie (Moretz). Carrie is a sweet but meek outcast whom Margaret has sheltered from society. Gym teacher Miss Desjardin (Greer) tries in vain to protect Carrie from local mean girls led by the popular and haughty Chris Hargenson (Portia Doubleday), but only Chris' best friend, Sue Snell (Gabriella Wilde), regrets their actions. In an effort to make amends, Sue asks her boyfriend, high school heartthrob Tommy Ross (Ansel Elgort), to take Carrie to prom. Pushed to the limit by her peers at the dance, Carrie unleashes telekinetic havoc. 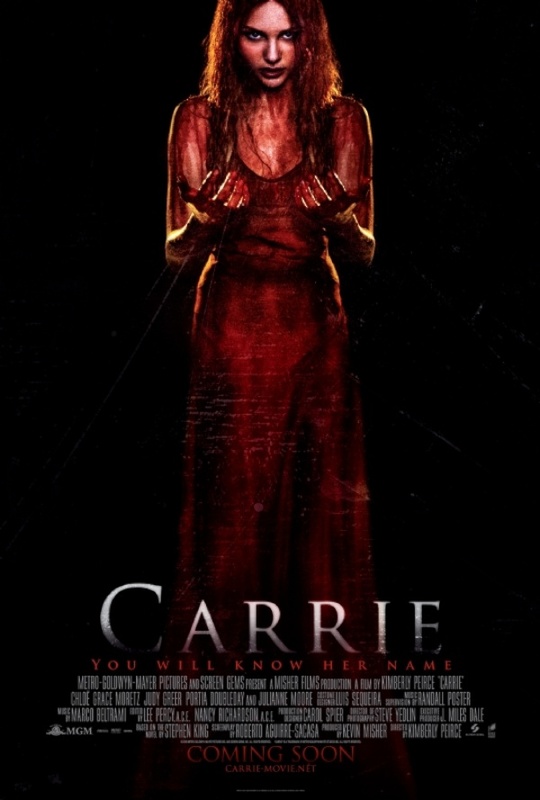 Brian De Palma’s 1976 film version of "Carrie" earned Oscar nominations for stars Sissy Spacek and Piper Laurie. This page has been seen 6315 times.